We keep chickens and grow a very productive garden, all on a tiny lot within the city-limits of Coeur d'Alene, Idaho. 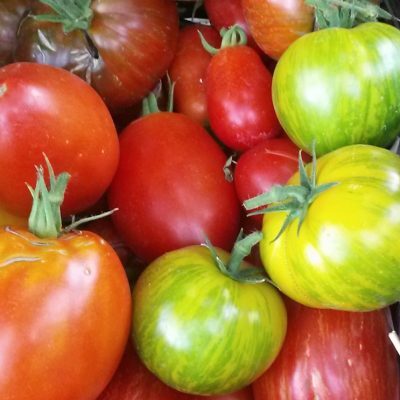 We also start and sell over 800 heirloom tomato, vegetable, and herb plants each year from our garden nursery. Follow along as I share my experiences - the fun and folly - of keeping chickens and growing a bountiful garden in an urban setting. You too, can be an Urban Farmer. Sign up below! Roasting Tomatoes, Grilling and Freezing Too!